Our heroes continue to struggle with their new reality of being away from the prison. Rick is left a lone in the house while Michonne and Carl go on a supply run. Rick wakes up to a house full of violent scavengers and manages to escape. Carl and Michonne form a closer bond as they chat about Michonne's past. We now know that Michonne's child was named Andre Anthony. Glenn wakes up in the back of Abraham's truck. Abraham is on a mission to deliver Eugene to Washington because Eugene knows “What caused all of this”. After a shooting mishap disables the truck. 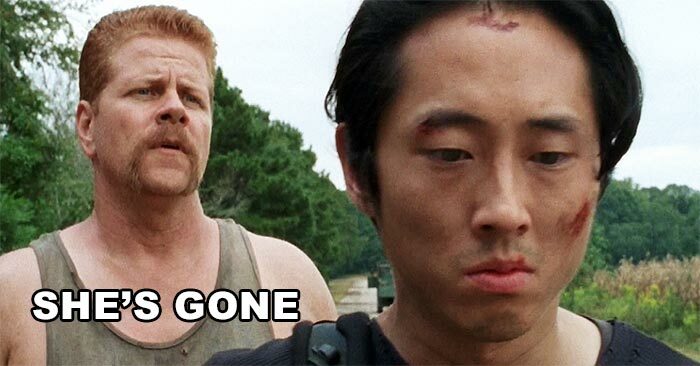 Abraham and his crew decide to follow Glenn on his quest to find Maggie.